If you read my Lemon Swiss Roll post, you will know that we had a Eurovision party last weekend where people brought along Eurovision themed goodies, this was my second contribution. 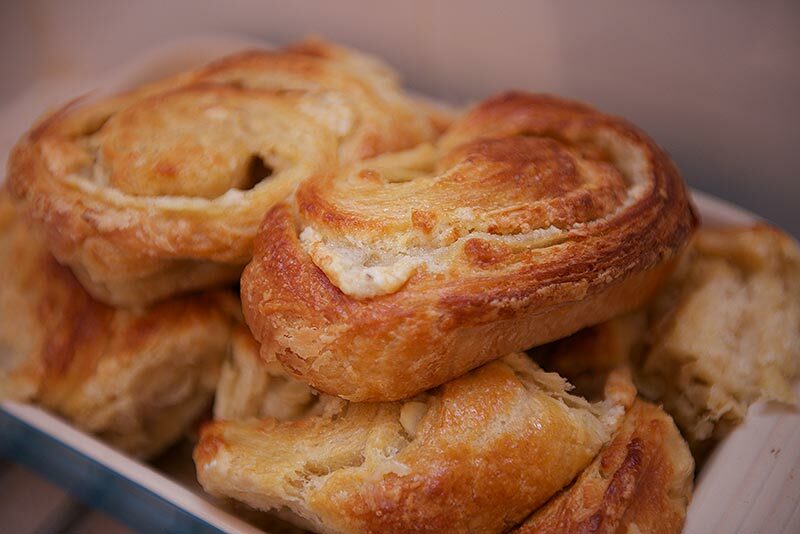 I was an avid watcher of Paul Hollywood’s Bread TV show and have been keen to test my hand at making danish pastry, so the Eurovision theme seemed like a great excuse to spend the day baking! Paul’s recipe is for savoury ones so I adapted it and used Mary Berry’s recipe for almond paste as my filling instead, but the technique is the same. 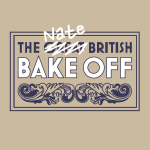 Again, the lack of photos is because I was panicking that the flat wouldn’t be ready in time for the party, so sorry about that! I also added a small bag of flaked almonds and 1 egg to use as a wash. Roll out the butter between 2 pieces of greaseproof paper to form a rectangle about 30x15cm and 8mm thick. chill in the fridge for 2 hours. put the flour in a large bowl and add the salt and sugar on one side and the yeast on the other. Add the milk and eggs to the dough and mix together until you have a soft mixture. Tip the dough on to a lightly floured work surface and knead well for 10 minutes, wrap in clingfilm and pop it in the fridge for 2 hours. 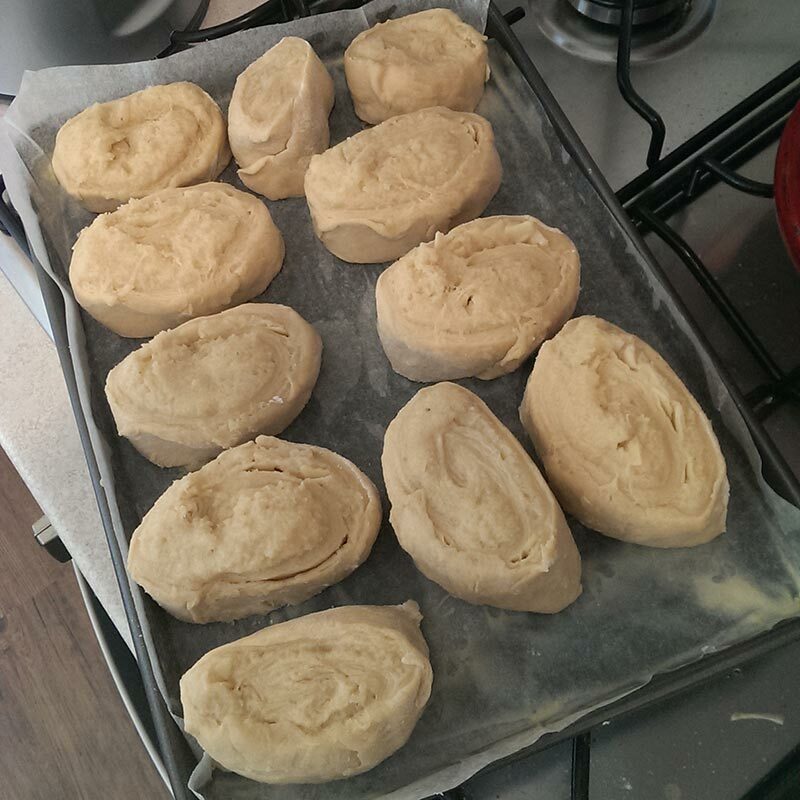 On a lightly floured surface, flatten the dough down with your knuckles and roll out to a rectangle about 50x20cm. Lay the flattened butter over two-thirds of the dough. Fold the unbuttered section over into the centre, then fold the other third over the top creating 3 layers of pastry with 2 layers of butter between them. Wrap in clingfilm and refrigerate again for 30 minutes to cool the butter. Roll the dough out to a 50x20cm rectangle as before, then fold into 3, warp and chill again. Repeat this chilling and folding process twice more. Wrap the dough up again and chill in the fridge for as long as you have, preferably overnight. In the meantime, pre-heat the fan-assisted oven to 200c and make the almond filling. Mix the ground almonds and sugars together in a bowl, the add the eggs and almond extract and amaretto. Knead together to form a stiff paste. Simple. Now to make the swirls. 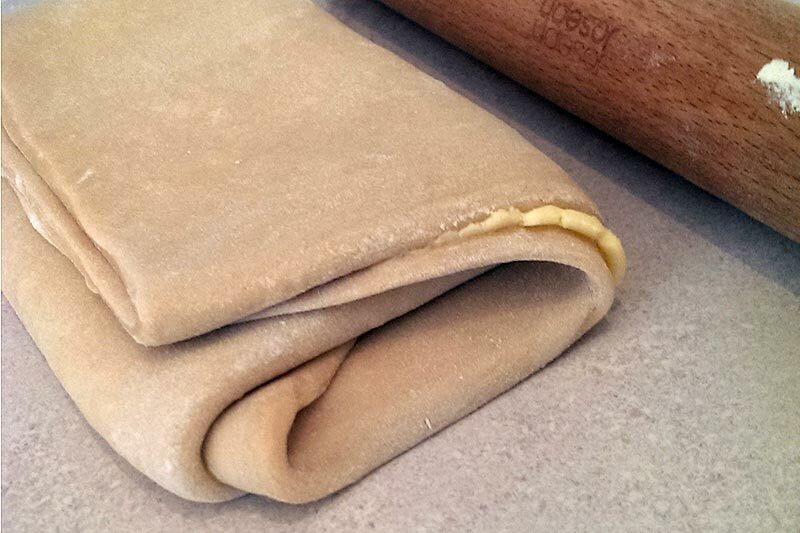 Roll out the chilled pastry into a 50x20cm rectangle again and tack one of the long edges to the work surface. Spread the almond paste over the pastry with the back of a spoon and sprinkle with flaked almonds. Roll the pastry up to form a long sausage and using a very sharp knife, slice it up into individual spirals and arrange on a greased and lined baking tray. 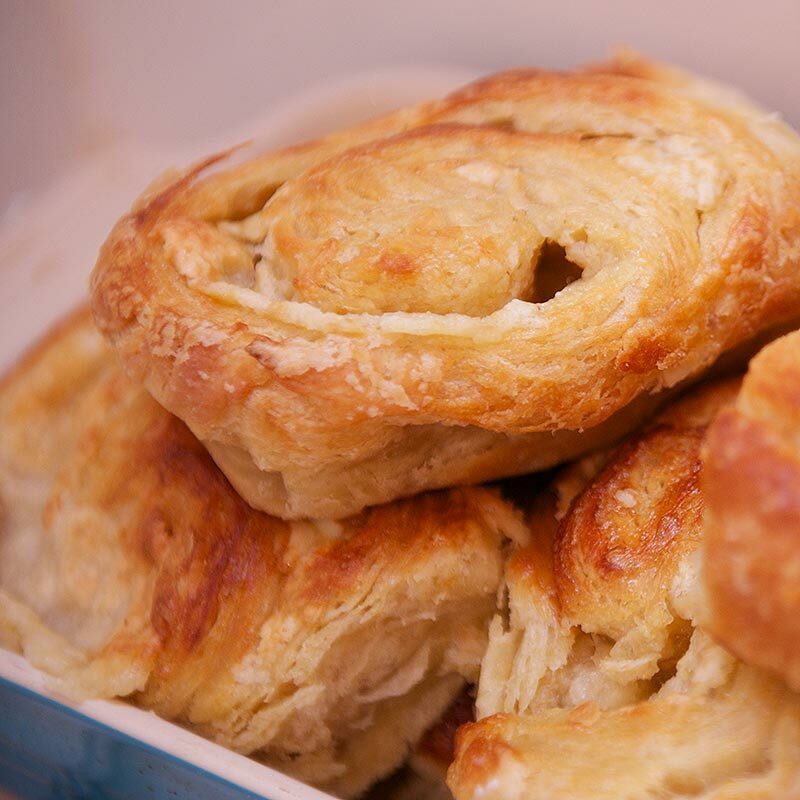 brush the pastries with an egg wash and bake for 30 minutes until golden and flaky! These were SO GOOD! The process took bloody ages but was so worth it. 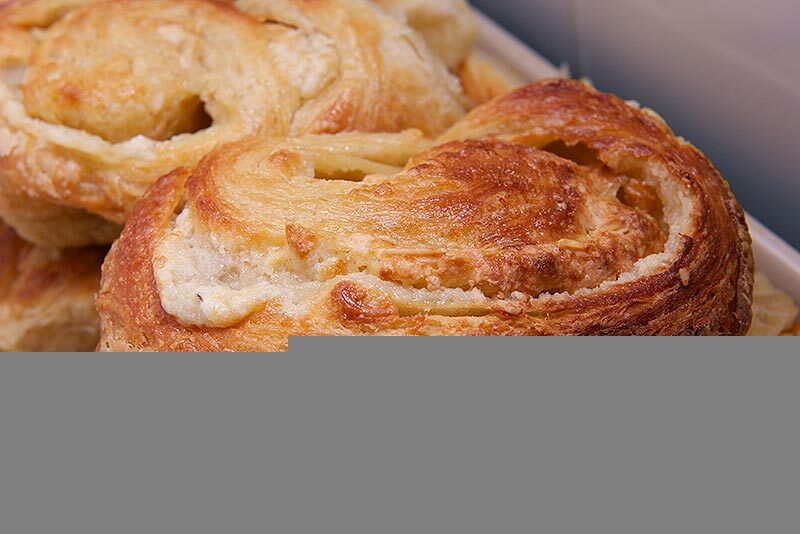 I was very happy with this recipe and like the Eurovision result, the Danish won!